Benjamins are pleased to welcome this three bedroom semi-detached chalet style property to the market. This property is situated in a well established and popular residential village of Keyworth on Fairway. With convenient location within walking distance to the local amenities including, shops, schools, sports facilities and public transport services. 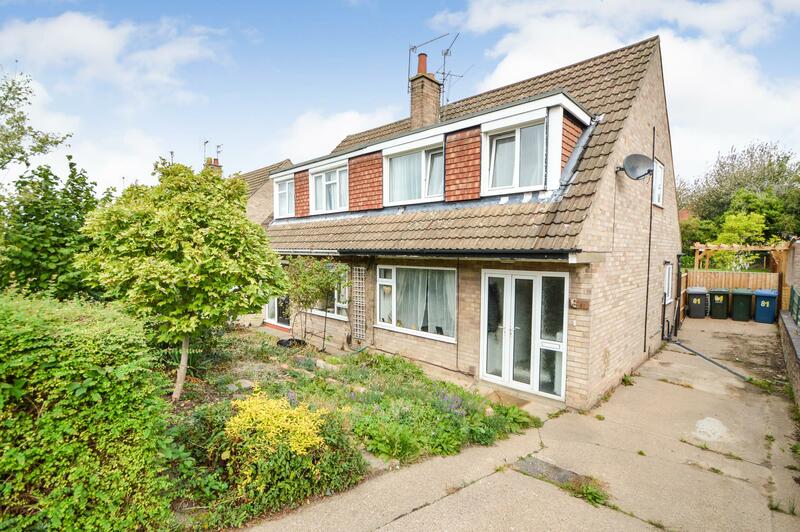 Benefiting from UPVC double glazing the property comprises; Entrance hallway, open plan living room to dining area, kitchen, three bedrooms, bathroom, large enclosed rear garden & long driveway with parking for several vehicles. Not to be missed! To arrange a viewing call Benjamins Sales on 0115 9371713. UPVC Double glazed door and side window, space for hanging coats. Wooden door into hallway. UPVC double glazed window to the front aspect, ceiling light fitting, carpet and open plan to the dining room. UPVC double glazed window and door to the rear garden, radiator, ceiling light fitting & carpet. Fitted with a range of wall and base cupboards with work surfaces over, stainless steel sink unit and drainer, tiled splash-back, integrated oven, electric hob & extractor over, space for a fridge freezer, plumbing for washing machine and dishwasher, tiled flooring, UPVC double glazed window to the side aspect, UPVC double glazed door to the rear garden and wall mounted gas central heating boiler. Opaque UPVC double glazed window to the side aspect, loft access & doors to three bedrooms and family bathroom. UPVC double glazed window to the front aspect, fitted wardrobes down one side, radiator, ceiling light fitting & carpet. UPVC double glazed window to the rear aspect, fitted wardrobes, radiator, ceiling light fitting & carpet. UPVC double glazed window to the front aspect, built in wardrobe, radiator, ceiling light fitting & carpet. 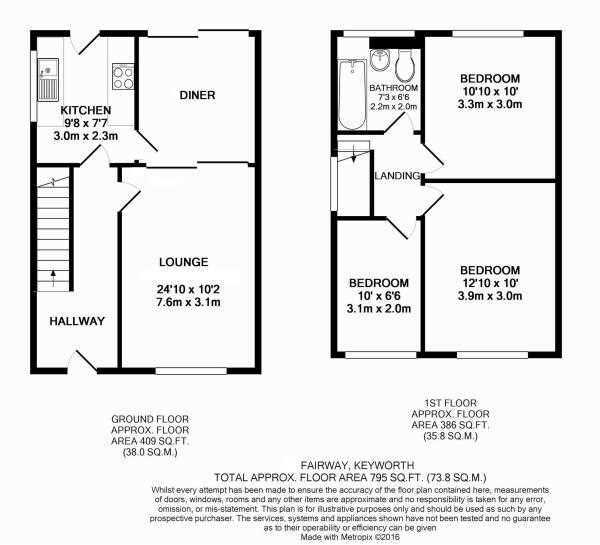 Fitted with a white suite comprising low flush wc, pedestal wash hand basin with mixer tap, panelled bath & two taps with electric shower over, fully tiled walls, towel rail radiator, opaque UPVC double glazed window to the rear aspect. To the front of the property, there is a garden with driveway providing ample car standing. To the rear of the property is a good size garden with apple blossom tree fully enclosed with fence panels both sides, large decking area and lawn beyond. Gated access to the to the side of the property where there is an outside tap.